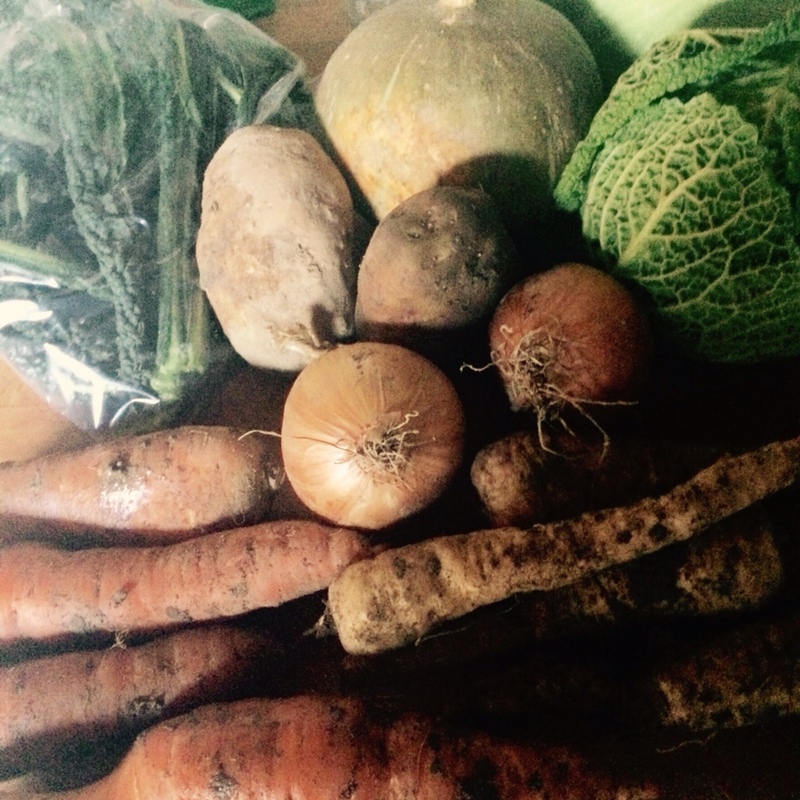 This week's bag contained Calvo Nero, squash, Savoy cabbage, parsnip, onions, potatoes and carrots including giant carrot Betty at the bottom of the photo below. Usually I like showcase one or two vegetables in each dish but a busy week lead to me making dishes with a variety of vegetables that I could eat over several days rather than cooking every night. Enthused by the clapshot I'd enjoyed at Henderson's in Edinburgh last January I decided to make my own. I only bothered to look up a recipe after I'd cooked my own made with a combination of potato, carrot and parsnip. Turns out it's supposed to be potato and swede. It tasted good and was less heavy than just potato. 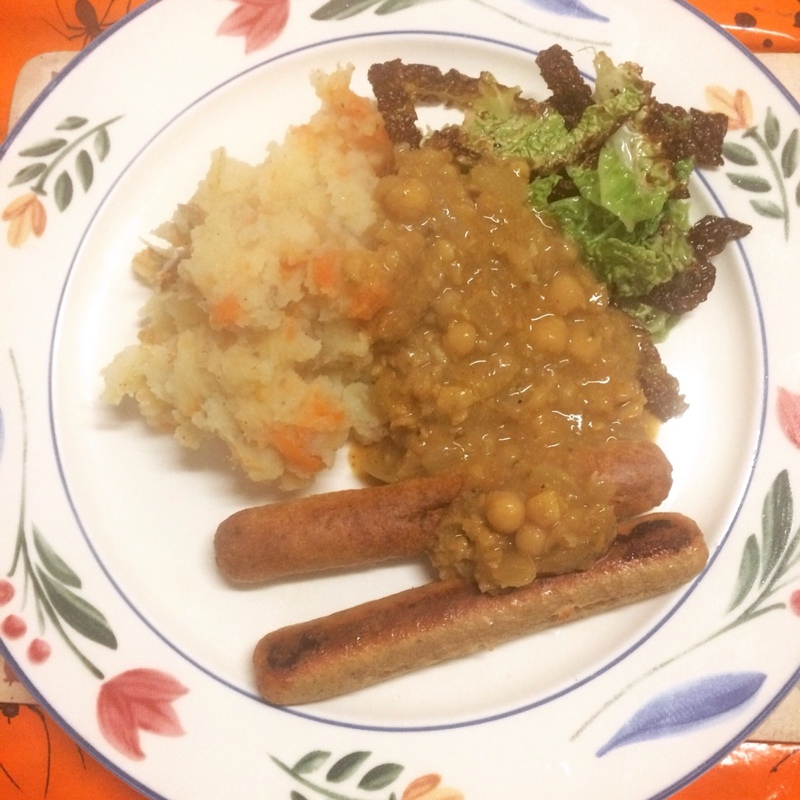 Served with pan fried cabbage, Vegetarian Coice sausages and punk rock chickpea gravy from the Vegan With a vengance cookbook. 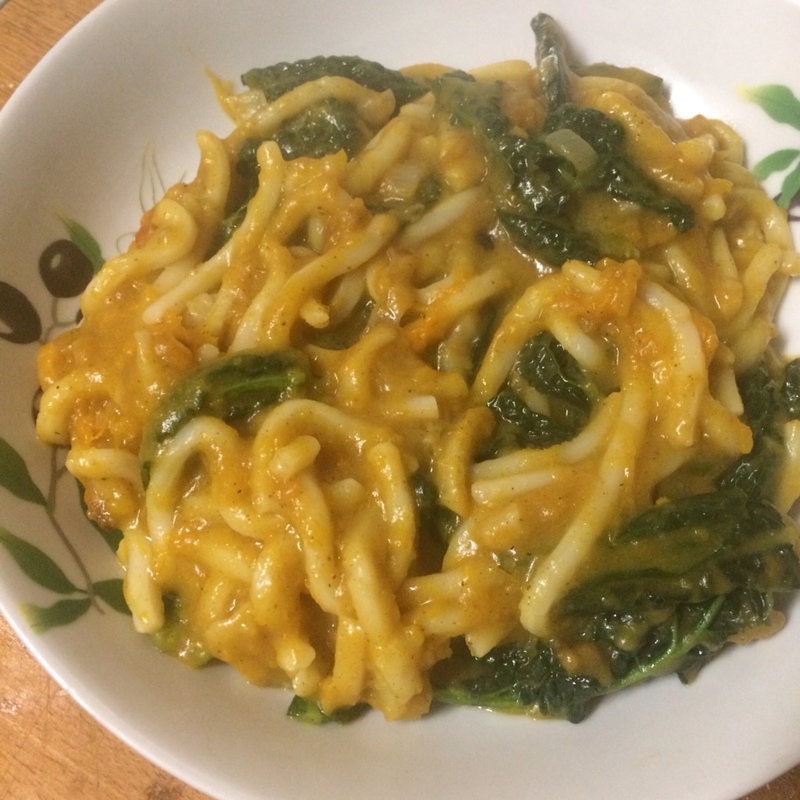 Roast squash cooked with home made curry sauce and onions then mixed with udon noodles and Calvo Nero. Creamy, warming and very filling. I also roasted the seeds from the squash and munched those while cooking this (but failed to take a photo). Another photo fail was a carrot soup which was ok but would have benefitted from being a tad smoother and maybe adding some butter beans. Next week maybe?